The Award of Merit was presented to Cathy Tysz at the First Works Futures Conference in Toronto, September 2016. 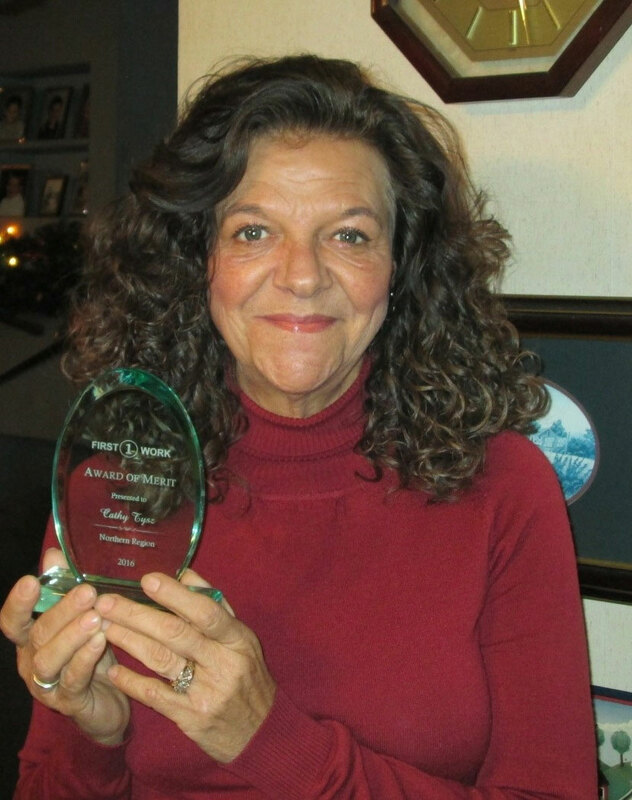 The award was in recognition of Cathy's dedication and support of the youth in the Rainy River District. 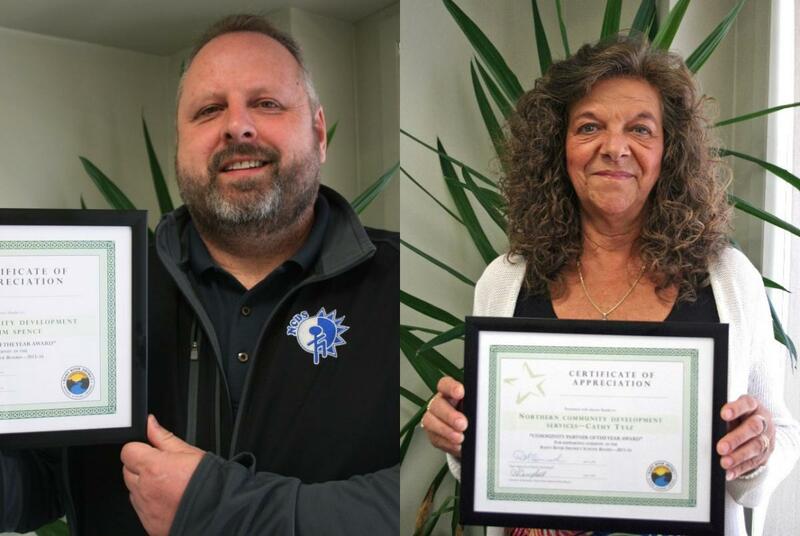 Cathy Tysz - Youth Job Connection Coordinator and Tim Spence - Job Developer, were presented with Community Partner of the Year Awards in June 2016. The awards were in recognition of their support of students in the Rainy River District School Board. 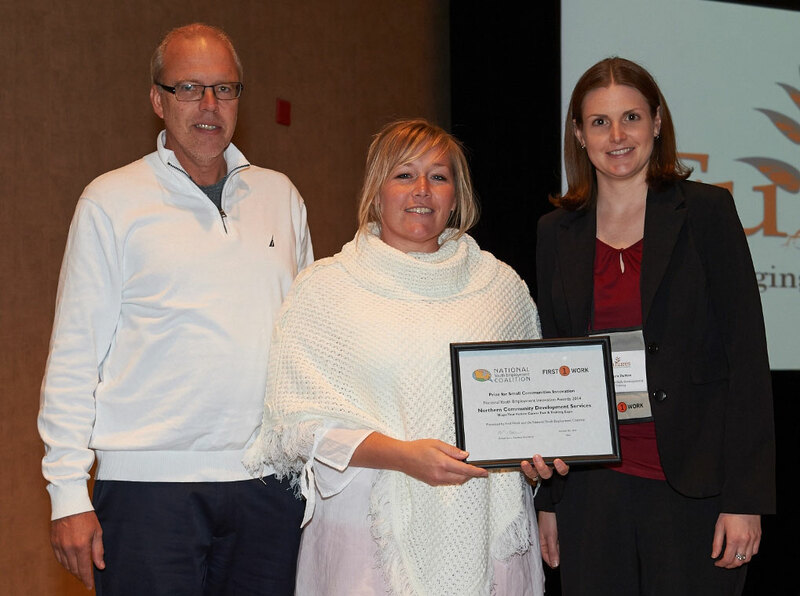 Nicke Baird, Executive Director of NCDS accepting the National Youth Employment Innovation Award from Jeff Surridge, National Youth Employment Coalition and Laura Dutton, National Innovation Award Committee. Chris Cupp, center, was the winner of the Acer Tablet draw in August 2013. Presenting the award from NCDS are Tyson Grinsell and Sarah Marusyk. 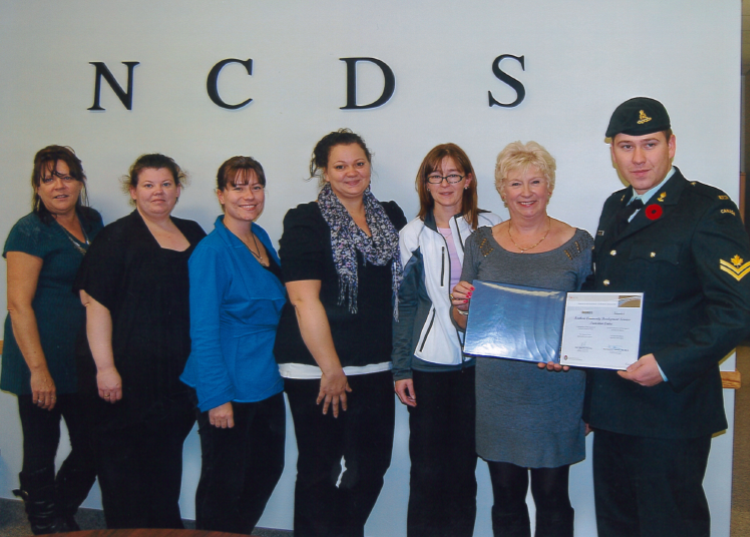 NCDS staff accepting the Canadian Armed Forces award from Master Bombardier Nathan Cousineau in February 2012. 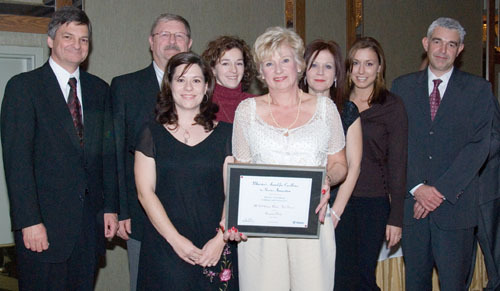 Jenny Greenhalgh and the NCDS staff accept the Ministers Silver Award for Excellence in Service Quality, 2007. 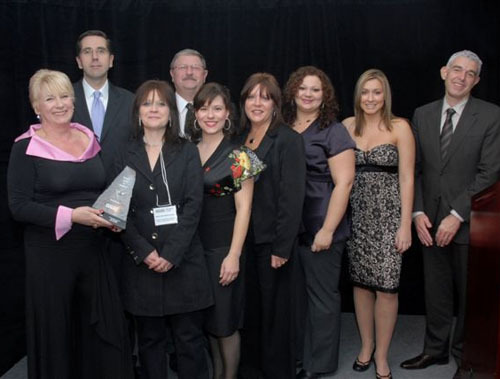 Jenny Greenhalgh and the NCDS staff accept the Ministers Service Innovation Award of Excellence, 2006.